Natural beauty, ideal for total relaxation and well-being. Welcome to La Maison du Maire. Total Privacy at your own pool. 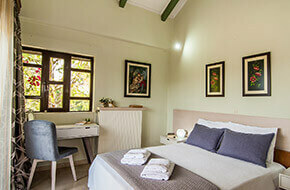 we have a luxury 12-person villa with a private pool only for you. La Maison du Maire (Mayor’s house) is designed by the well-known architect Vassilis Panopoulos, who was inspired by the Alpes' architecture and constructed this residence to resemble to a “chalet”, with his own personal touch and love. 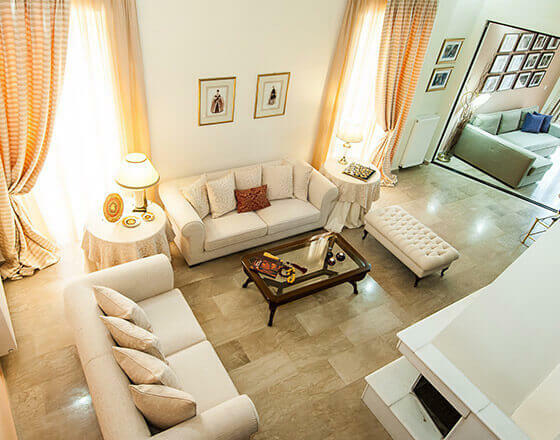 It is situated in a private property of 5800m2. (1,4 acre), offering wonderful views to the surrounding pine-trees, olive-trees and grape gardens. 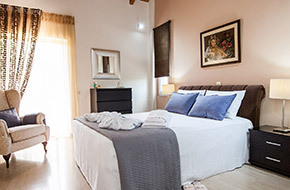 The villa features five bedrooms and three bathrooms. 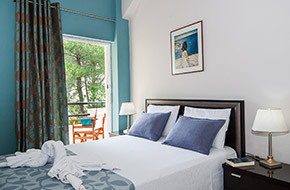 Every bedroom has its own balcony with an amazing view to the fields and lowlands of Zakynthos. 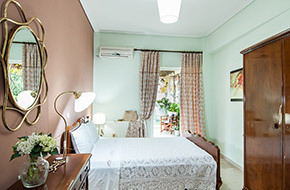 The villa is suitable for all kind of travelers who wish to spend a unique vacation in a natural green environment, close to all the main attractions of the island. We have a family friendly policy, offering all the necessary equipment for children (including baby cot, high chair, toys etc. upon request), so that you can completely relax and enjoy your holidays. 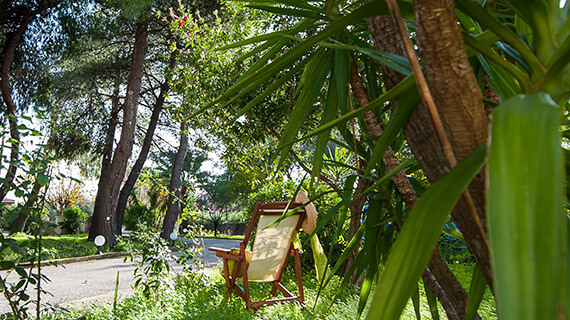 If you are a nature-lover, we have also something for you: you can either relax on the hammocks in our pine trees’ garden or ask for our advice to discover some hidden spots of the island of unique beauty! 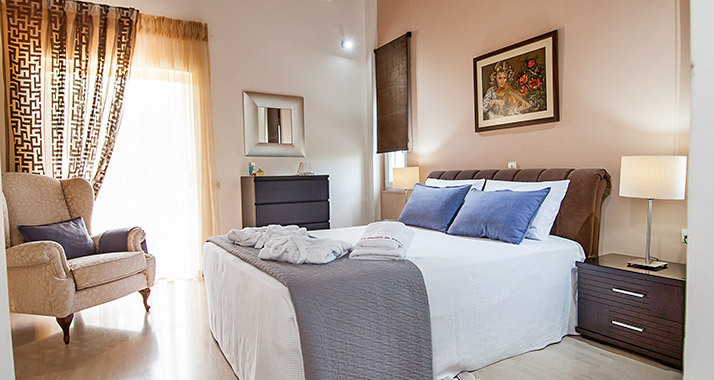 Above all, what makes this experience unique is the original Greek hospitality of the owners Maria and Yannis. Our tip: Don't leave without trying Maria's delicious meals with natural products from the gardens!